Romper Room! Romper Stompers! Mr. Do Bee! Mr. Don't Bee! Yes, Miss Lois! Do you remember? Boy, I sure do. Romper Room was a show which debuted in 1953 and ran for the next forty years. It was unusual in that the show wasn't set in one particular city; rather, there were multiple locations literally around the world where a hostess, commonly referred to as Miss (insert her name here) would attempt to teach her group of children how to be polite. They would recite the Pledge of Allegiance, say a prayer when they received their milk and cookies, and the set was for all intents and purposes a real kindergarten for the youngsters who appeared for the two month setting. Ahhhh, the simple days when politeness was in vogue! I miss those Romper Stompers, don't you!? In 1955, Bob Keeshan began to visit our home with his lovable cast of characters, and would continue to visit us for the next thirty years every week. Featuring his sidekick, Mr. Green Jeans, friend Mr. Moose, and various guests including the thoroughly enjoyable Shari Lewis and Lamb Chops, he would speak with us in that quiet, pleasant voice and my how the time would fly! The show originated based upon a relationship between a grandfather and his grandchildren. The Captain would tell stories, sing songs and generally entertain us in a wonderful fashion. On a side note, many of us know the Captain from a character he played on another 1950's TV show: The Howdy Doody Show. He was Clarabell the Clown! I think my favorite portion of the show was when those ping pong balls fell down on everyone. Remember that? 101 Timeless TV Classics - 8 DVD Set! Over 40 Hours! Beginning in 1963 as Mister Rogers before becoming Mister Rogers Neighborhood in 1968, Mister Rogers would invite us into his home full of magic and imagination and all sorts of wonderful creatures, all there for us to enjoy. I do not remember a more welcoming person ever on television to a child. He was a warm, comfortable persona who genuinely loved kids and along the way he would educate us as we played. He spoke to us on our level, accepted us for who we were and made us believe we were special. Who didn't want, need, and love that? Too bad we no longer have this type of person available on our televisions today, don't you agree? Fred Rogers was a Presbyterian minister who felt that television could do better by its children, and he set out to provide that for us. I think he succeeded, don't you? 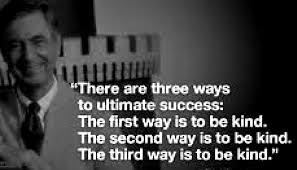 Along the way he received the Presidential Medal of Freedom, multiple honorary degrees, and even a Peabody Award. The show received four Emmys and Mr. Rogers himself received a Lifetime Achievement Award at the 1997 Daytime Emmys. As he received the award, he stood in front of the crowd and requested they think on those special people who loved them into being for ten seconds. Not to focus on him, on his award, but to think on those who loved them. He even kept the time his own watch to make sure they did. His quiet authority persuaded the crowd of daytime soap opera stars, talk show hosts, and other "adults" to do as he asked, and within seconds, tears streamed down the faces of those who did as he asked. After the ten seconds was up, he simply stated "May God be with you" and left the stage. How appropriate for a man who always, ALWAYS thought of others before himself. We need him back, don't you think? The Electric Company was a shorter lived children's series, lasting only six seasons from 1971 through 1977. But the impact! Irene Cara, Morgan Freeman, Rita Moreno were among the original cast and this upbeat Sesame Street-like show kept our attention glued to the screen with things and songs we had never imagined. Cameo guests spiced up the fare even more, and included Big Bird, Carol Burnett, Grover, Joe Namath, Oscar the Grouch and Rowan and Martin. 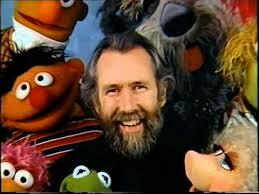 Sesame Street is the Granddaddy of all children's shows, beginning in 1969 and continuing today. That makes it over 45 years on television, with somewhere around 4,500 shows, roughly 160 Emmy awards and even 8 Grammy awards. This is the measuring stick by which all other children's shows measure themselves. Over the years our cast of favorite characters has evolved, with Muppets creator Jim Henson creating a lovable cast of misfits and monsters. Way back in the beginning with everyone's favorite big yellow bird, Big Bird, Oscar the Grouch, and Big Bird's friend, Snuffleupagus led the way. There was also the Cookie Monster, Grover and of course, Count van Count. We fell in love with these furry, funny creatures and thought nothing of their interacting with the real live humans who lived on Sesame Street daily. It seemed completely natural. Then came little Elmo and a cultural phenomenon that swept the world. Every child had to have the Tickle Me Elmo and that sweet giggling laughter emanating from his body was infectious to child and adult alike. The show taught us how to count, what our letters were, how to speak in both English and Spanish, and generally how to get along with one another on this big old planet. I wonder what happened? The show had a massive impact on our children with as much as 95% of preschool aged children having watched the show by their third birthday. Imagine that: 95%! Extraordinary! Has there ever been a show that can say that? I have to say no way. Beginning in 1972, ABC (American Broadcast Company) televised these short 60 minute movies which were aimed at older children/teenagers, detailing situations they might find themselves in at some point. Some were moderately uncomfortable, others simply enjoyable. During the 25 year course of the After School Special's life, it won an astounding 51 Daytime Emmy awards. Topics ranged from escaped slaves and the Underground Railroad to the works of Shakespeare to a handicapped family member to bullies to alcoholism.These were often filled with actors we might recognize from other movies and television shows, or with some who developed at a later date into A list actors. Jodie Foster, Beau Bridges, Jose Ferrer, Tim Conway, Kristy McNichol, Corbin Bernsen, Melissa Sue Anderson and even Butterfly McQueen all starred or co-starred in these frequently moving movies. I remember coming home after school to watch these shows; do you? 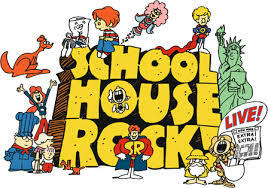 Originally shown from 1973 to 1985, then revived in 1993 through 1999, Schoolhouse Rock is one of my favorite little mini-shows. I may have been a burgeoning teenager at the time but the tunes were catchy! For the most part, these shorts took place almost as a commercial, yet they were so educational. They taught the viewer something important in a manner that would stay with them for years. Witness me: my favorite, "I'm just a Bill, I'm only a Bill, and I'm settin' here on Capitol Hill" has stayed with me for forty years now. I love it still. "Conjunction Junction", "Three Is A Magic Number", "Figure Eight", "Lolly, Lolly, Lolly Get Your Adverbs Here" and "The Shot Heard "Round The World" still resound in my mind even today, and in my children's. We have the DVD and the VHS, playing each from time to time just to enjoy those magical sights and sounds one more time. Which was your favorite children's show as a child? Marie and Ann, so glad you enjoyed this little excursion down memory lane with me. Marie, I forgot Kookla, Fran and Ollie! However did I do that? Take care! Ann, it is special to enjoy those moments with a parent, isn't it? I have watched far too many hours with our children at times but they were special times filled with love and smiles. And that makes the world a far better place! Stay safe OK? We had Lamb Chop and of course Sesame Street over here in Britain. There was also 'Tales of the Riverbank', 'Sooty & Sweep', 'Andy Pandy', 'Bill & Ben the Flowerpot Men' and (the first one on our TV I think) 'Muffin the Mule'. There were many more besides but you're right that they were gentle, fun stories, sometimes funny but always with a 'feel good' factor. Like you, I think it's a shame that kind of gentleness has mostly gone. Also, I watched with my Mum or with both parents; how often does that happen today?! Growing up, we could only get NBC, so I didn't get to watch many of these programs that you listed. My memories do include The Howdy Doody Show, Captain Muddy, The Shari Lewis Show, Mr. Rogers, Sesame Street, Kenny Rogers (I'm Goin' Down the Country . . . gonna have a lot of fun, got a nickel in my pocket just to buy some chewin' gum . . .), Kookla & Oolie, and Reading Rainbow. Cartoons were kind of violent. In the 80s, though, my daughter watched The Little Prince, a very charming animation about a polite, smiling little boy who lived on a planet. His "rose girl" was always at odds with him for leaving the planet and leaving her stuck there alone. He'd catch a comet and visit other interesting places where he always made lots of friends. We love these kids' shows because they stir the memories of childhood within us, those times of innocence and the thrill of joy that came from the simplest of things, such as a tickle or a kiss. I am grateful for having such a childhood, as many children on our earth do not have such blessed lives where terror, natural disasters, and disease fill their days. For these I pray. P.S. I watched a few episodes of Barney, but found I had outgrown the antics of the purple dinosaur and Baby Bop (a little too cutesie for my taste). PaigSr I do not recall that show, I will have to look it up now. And I agree: re-air the originals because the remakes are awful! Glad you enjoyed this and take care! Larry, I miss Mr. Rogers too. Glad you enjoyed the trip my friend. Take care in ol' O K L A H O M A! Where the winds come sweepin' down the plains! Love that musical!!! I still sing (when no one is around of course) the opening sequence when walking around in the open air, sky so blue, sun so bright and not a cloud in the skies. They jes' don' makeum like thet no more my friend. I'm familiar with all these programs. I especially miss Mr. Rogers. Yes I watched them all. And sorry I can't pick a favorite. Although MR. Rogers is very close to the top of that list. Anyways Here is one that is not on your list - Hodge Podge Lodge. I have asked people about this one and some remember it and others don't. A final note. Re-air the original shows. Don't make new ones. I have seen this done more than once and its just not the same. Jodah, glad to know these shows made their way to your country. I am unfamiliar with Mr. Squiggle but might have to check it out now! Thanks and have a wonderful day (er, night?) down under! Even though I am in Australia we still had some of these shows. I grew up with Romper Room and it was still going when my kids were young. I even sent drawing in to the show and watched them shown on TV. Shari Lewis and Lambchop were my favourite though. I still catch an episode of Sesame Street now and then. My favourite Australian children's show was the long running Mr Squiggle. Interesting and voted up. Bill, join the club. Her smile and voice were always a favorite of mine. Take care my friend! You have a great week also. Cheyenne, little Ralphie is quite an um, well, er yeah pistol! Funny you had a crush on Mr. Green Jeans and Bill and I liked Shari Lewis. We all had our favs, didn't we? I think Mr. Rogers personna was something unique and that's why it stuck with me all these years. I forgot about Reading Rainbow; that was another great children's show! And of course, in today's world Thomas the Tank Engine is just such a cute show! My son loved it (when he was a bit younger, of course! Too old to admit it now!) and we went through the finding the different Thomas toys, all the different engines and knowing the names. Good memories, Chey! Take care! I was an avid fan of Romper Room (Ralph in the video is a little pistol, isn't he? ), The Shari Lewis Show, and Captain Kangaroo. I had a huge crush on Mr. Green Jeans! I also watched Mr. Rogers, but not as much as the first three I mentioned. I vaguely remember the ABC After School Special. I'm not sure if I watched them or I simply remember seeing them advertised. I did watch Sesame Street with my son when he was little. Another favorite we'd watch together was Reading Rainbow. My son also loved Thomas & Friends. At the time he was all into Thomas the Tank Engine. I had such a crush on Shari Lewis. Enough said. :) Have a great week, buddy, and thanks for the memories.